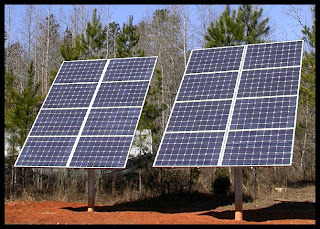 The modern technology has come up with an alternative energy provider through the use of the solar power. Energy coming from the sun is converted into electrical energy for home and industrial/commercial usage. The device used to convert energy contained within the sun’s rays into electricity is called a solar panel or solar cells. Many modern homes nowadays took advantage of solar panel mounting on the roof of their homes or through solar boards on a pole located just outside the house. Generating electricity on small scale could help fight against climate change and moreover, can help lower electricity bills. Mounting solar boards on a pole top mount are easy to install as they keep the solar sheets off the ground and easier to adjust to move or track the sun, just make sure the pole is sturdy to survive the rainy or stormy weather. Installing solar panel on roofs needs more efficient work, using tamperproof screws provides the highest security and worry-free during different weather conditions therefore gives us peace of mind. The number of solar panels needed to be installed will depend on how much power the house consumes on the average. Seek for professional advice in case you will opt for solar panel mounting in your homes. Also, know your city regulations about the device for possible permits and legalities. There is a rise in demand these days for solar panels as it is a great investment that will last for years which can endure any weather disturbance. 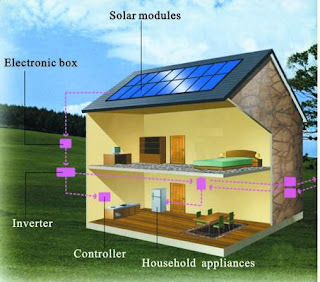 Installing it will increase home value as it offer not only an attractive style but a durable solar energy solution that provides free electricity, pollution-free power, and environment friendly. It is a great way out to acquire free energy to your homes to rising electric bills. How I wish we can also install solar panels at home. This would cut down (or even complete cut off) electricity expenses! I don't have an idea how much a solar panel costs though. Solar boards could be a bit more expensive but worth the investment, aside from its benefit for users who can do their share of helping the environment. There is just too much threat of global warming now. Glad to know that there are lots of alternative sources of energy. Using solar power is environment-friendly, too! This would've been a nice power resource alternative. If only the government funds for this kind of stuff. Sustainability is the thing today. This natural technology has to be enhanced and taken care of for the next generation.